Hatteras Island has produced a unique breed of people. The isolation, especially before a bridge was built, required residents to be particularly resilient. To say they are interesting folks is an understatement. Among the most colorful characters I ever met was Mac Midgett. He was a big man with a heart of gold. His stature could intimidate people, but once you got to know him those feelings faded. Born and bred in the village of Rodanthe, he was a part of the place. Everyone knew or knew of him. With his wife Marilyn, he built a business that was essential for providing goods and services to locals and visitors alike. He was a caring person and that became more evident when he ran for county commissioner and won a seat on the board. He got things done because he put his heart into it. 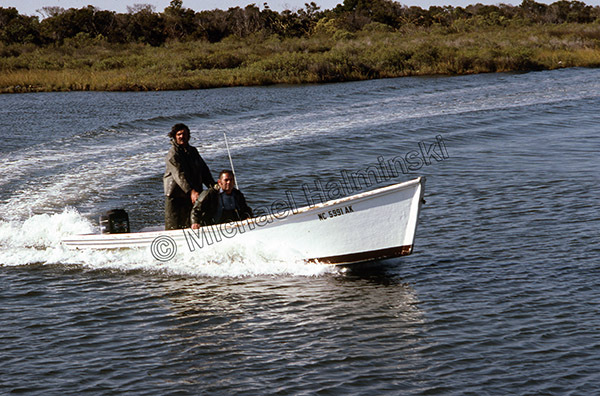 I took this picture in 1978 when Mac had been fishing his nets with Dalton O’Neal. They were just arriving at the Creek in Rodanthe to unload their catch. 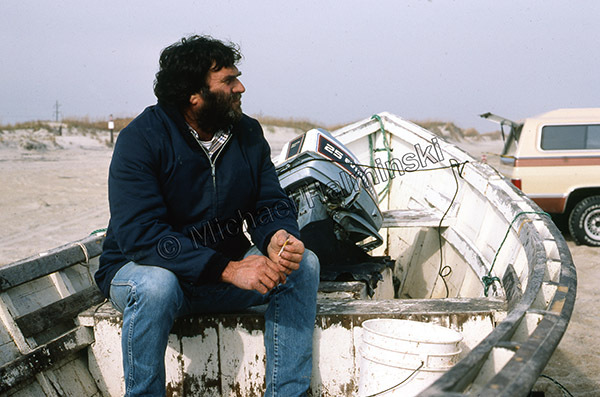 In 1984 I caught him taking a break in his dory after beach fishing. 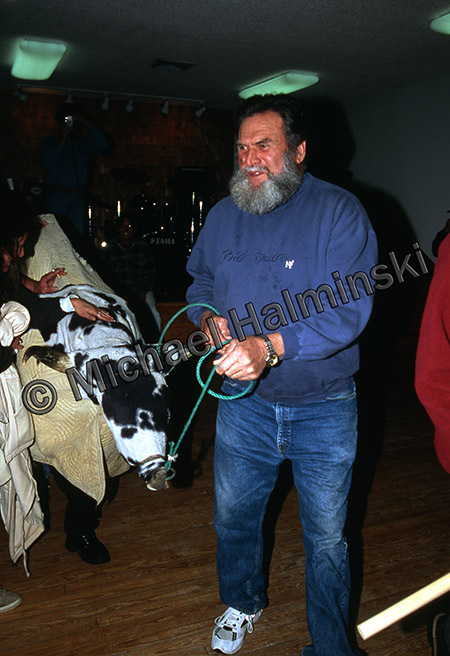 The Old Christmas celebration in January of 2000 found Mac leading Ole Buck around the dance floor. It was unusual in that Ole Buck’s normal caretaker John Edgar, was indisposed that night. It was a sad day in 2006 when Mac passed away. He was iconic. I thought he’d be here forever. In a way, he’s still around, because he was so much larger than life. This entry was posted in Fishing, history, Outer Banks, People on May 24, 2017 by j0jgvm89bj.